Pelorus is a faceted navigation tool for browsing, searching, and discovering information in complex and large semantic graphs. Featuring an easy-to-learn interface, Pelorus allows users to browse RDF data in a powerful and simple way without knowing anything about the underlying technology. Pelorus has been used in production in various different domains over the years and now will be available as an open-source library. In this talk we will describe the basic features of Pelorus and show a brief demo. Evren Sirin is co-founder and the Chief Technology Officer of Complexible Inc that develops Stardog, the leading semantic graph database. At Complexible, Evren leads research and development in the areas of semantic technologies, information management, and graph databases. 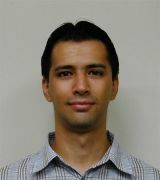 Before joining Complexible, he received his Ph.D. in Computer Science from the University of Maryland, College Park, under the supervision of Jim Hendler where he published many papers in top-tier conferences and journals.